In autumn the second expansion for Scythe – The Wind Gambit will be published. In Germany it is published as Kolosse der Lüfte by Feuerland Spiele. So far this is actually common practice. Not so with the development of this particular expansion. The story behind it shows, how serious Jamey Stegmaier actually takes the community around his games. Kai Starck was able to experience with the new expansion how his developed ideas were transformed into a „real“ game, which is now expected by many fans around the world. 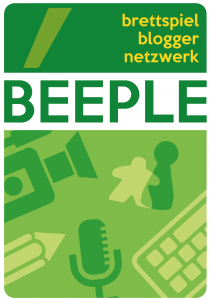 I am talking with the German junior game designer Kai Starck about the cooperation and how the whole thing ended up in practice. Kai, most of us will not know you, maybe from one of the Scythe or Boardgame Facebook groups, where you are also active. Just give us a short introduction to yourself. Where are you from? What are you doing in real life and how did you become a boardgamer? I am 23 and I come from a small village in North Frisia, somewhere between the North Sea and the Danish border. My father has a small board game group with which he meets once a week. As a result, there was always a huge collection of games at our home that we could use and also a group ready to play. 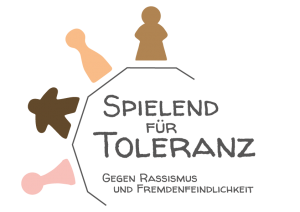 Although I have always played a lot and also at different events like Spiel in Essen, the key experience was last year in autumn, when my father organized a German-Danish event called „Grenzenlos Spielen“ (Games without borders) with his group named „Die Anderen“. Since then boardgames have taken an ever larger place in my life and also in my apartment :D.
Your story is actually a little bit unusual. First of all, how did you come up with the idea for the Scythe expansion? What made you say that the new element Airships makes the game even better or at least different? I’m in a Scythe Facebook group, where members can ask questions about the rules or post pictures of painted minis or cats in Scythe boxes. At some point the topic of a possible expansion came up and somehow I imagined a picture of Jakubs artwork with an airship. The idea was born. I wrote down my thoughts and three days later I posted a Word document in a rather horrible English into the group. Jamey commented on the post and asked me about an hour later to write him an email. He wrote to me that Jakub and he like the idea very much and made the offer to work on the expansion in the following months. How did the cooperation work in practice? Have you met in person or just online via Skype and Co? Skype would have been too complicated because of the time shift. I hope, however, that we can meet at a convention. Perhaps Stonemaiergames is a guest in Essen. Since he lives in St. Louis and I live in Germany, the cooperation was exclusively via mail. We have written dozens of mails, sometimes several times a day. At the beginning I made test games, changed something and then tried again. Then there was the first wave of blind tests. From the results and opinions of the test players, which we have filtered out, we could make changes and test again … and like this we worked on it for about four months. How much was changed to your original idea or went it into production more or less like you developed it? There was some change on the rules of the airships, since the airships in the original version had different but fixed special abilities for each faction and had to be brought into the game like a Mech. In the final version of the expansion, each player starts with one airship in his home area, and at the beginning of the game, two airship abilities (one „Aggressive“ and one „Passive“) are drawn, which then determines the ability of all airships. The „Aggressive“ tiles define, what and how much an airship can transport or what happens when an enemy unit pulls onto your airship area. The „Passive“ abilities indicate the range of the airships and an additional ability which, for example, will give your own units an advantage when you are on your airship area. In addition, Jamey has introduced yet another module in the expansion, the „Resolution Tiles“. Again, a random tile is drawn at the beginning, and this then indicates the condition for the end of the game, e.g. When placing the fifth star (not the sixth). 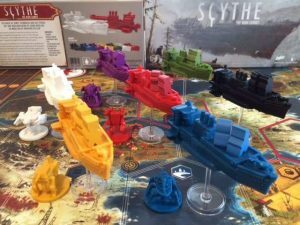 A lot of the fascination of Scythe is coming from the great graphical implementation of the world, which was somehow also the origin of the whole game. Have you also worked together with the artist Jakub? No, not directly. We wrote a few times, but I designed the expansion itself with Jamey and Jakub started to paint the pictures in parallel. Finally the mandatory question: Do you have any more ideas and are you working actively on something else? Or was it more a kind ‚One Hit Wonder‘? I have learned so many things in the time I was allowed to work with Jamey. So I started developing some plans myself.